Dong Quai, also known as the “Queen of Herbs”, is often referred to as the “female ginseng” . 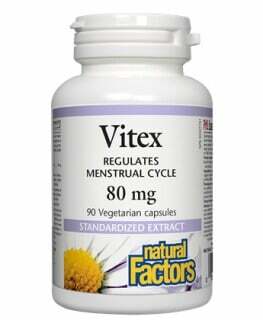 It is considered to be highly beneficial to women due to its ability to regulate and balance gynecological health. 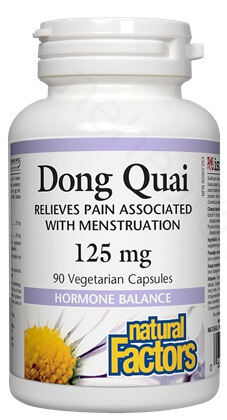 It is also rich in vitamins and minerals such as cobalt, iron, magnesium and vitamin E. Dong Quai is commonly used in Traditional Chinese Medicine to treat symptoms associated with hormonal imbalance, menstrual problems and irregular uterine contractions. Dong Quai enhances our immune system by stimulating the B and T lymphocyte activities. The coumarins present in Dong Quai act as vasodilators and antispasmodics whereas the ferulic acid plays an important role in inhibiting platelet aggregation. Chinese doctors often prescribe Dong Quai to treat anemia and fatigue due to its ability to produce red blood cells. 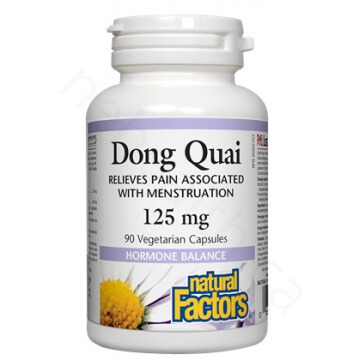 What Are the Key Health Benefits Associated with Natural Factors Dong Quai? 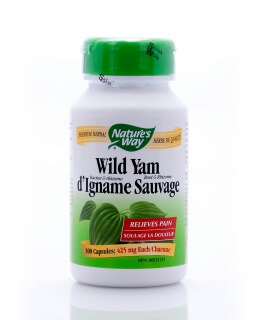 Non-medicinal ingredients: Rice starch , vegetarian capsule (carbohydrate gum [cellulose], purified water, silica). 4 capsules, 3 times daily or as directed by a health care practitioner. Pregnancy and lactation: Not recommended for pregnant and lactating women. Caution: Do not use in cases of diarrhea or abdominal distension due to damp obstruction or in cases of yin deficiency with heat signs. Consult a health care practitioner if you have hemorrhagic disease, hypermenorrhea or symptoms of increased menstrual bleeding or if symptoms persist or worsen. Consult a health care practitioner for long-term use. North American Menopause Society. "Treatment of menopause-associated vasomotor symptoms: position statement of The North American Menopause Society." Menopause (New York, NY) 11.1 (2004): 11.